You are here: Home » Why Did You Choose To Homeschool? 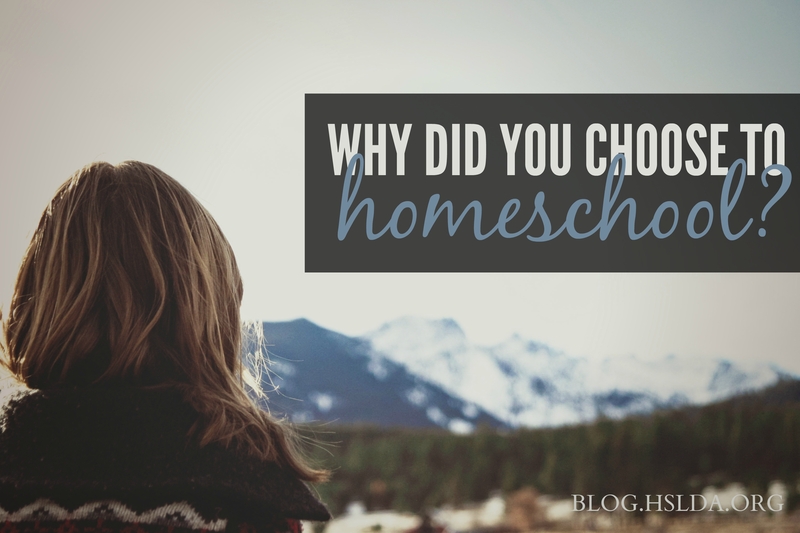 Why Did You Choose To Homeschool? Perhaps this question isn’t quite as common as it was many years ago, before homeschooling became so widely known and practiced, but it’s one my mom got asked frequently when I was young. I think it’s worth cataloging not only why I chose to start homeschooling in the first place, but also why I continue to do so today. Was it to ensure an academically superior education? To protect my children from unwholesome influences until they’re better able to handle them? To keep my children nearby for the pleasure of their company? To foster strong family relationships? To save time and money? Certainly in my case, there’s a smidgen of all of those factors at play. I’m on a list kick right now, in contrast to my typical freewheeling organizational strategy, so I’ll go down the list and mull over each of these factors. PROVIDING A GREAT EDUCATION: I admit, this was the primary reason I chose to homeschool in the first place. I knew the benefits that one-on-one tutoring and individualized attention could offer, and I believed I could give my kids a better education than they could receive in a mass-produced environment. While academic achievement is definitely important to our family, however, this has not ended up being the primary motivating factor to keep me going. I’m heartened by how much information my kids are absorbing, but I’m also coming to appreciate other aspects of growth and learning outside the intellectual sphere. PROTECTING MY CHILDREN: To be honest, I’m not so concerned with sheltering my children from the effects of external influences for the preservation of their innocence or any such notion, because I don’t believe that any pocket of the world necessarily has a monopoly on evil. Their own flawed human natures provide us with opportunity enough for character training! However, removing the distractions of a daily deluge of popular culture that a public school environment would necessitate has proven to be a great help in streamlining our lives and allowing us to pursue our own path with confidence. We simply don’t waste as much time bogging down in arguments over fashion trends, new gadgets, junk foods, and the like. Reading books, watching media, and visiting with others provides plenty of opportunities for exposure to the wider world, while allowing us to put different ways of doing things in the context of preference, conviction, expediency, or happenstance. FOSTERING STRONG FAMILY RELATIONSHIPS: This of course doesn’t happen just from cramming everyone into the same space for long periods of time. While good family relationships must be deliberately cultivated no matter the environment, I do think that there’s a better opportunity to learn to love and serve people that you spend considerable amounts of time with. SAVING TIME AND MONEY: This is one of my favorite considerations, because I’m passionate both about quality and about saving money. Does homeschooling actually save money over traditional schooling options, or can it? Should it? This topic deserves a post of its own. In summation, there are a variety of great reasons for our family to homeschool; the practice isn’t always easy, but the rewards are worth it. So why did you start homeschooling? And why do you still keep doing it?